Have the Holidays completely zapped your funds and left your pockets full of nothing but lint balls? Thankfully, the Gambling Gods have released the complete list of investment options for “UFC 141: Lesnar vs. Overeem” to help you recoup some of your losses. Former Strikeforce heavyweight champ Alistair Overeem remains a steady -140 odds-on favorite to beat Brock Lesnar in the night’s featured attraction. Lesnar, on the other hand, checks in as a slight +110 underdog. It will be interesting to see where the late money goes as showtime approaches. 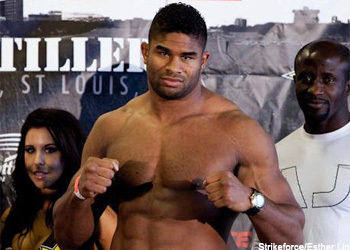 Overeem was nearly a 2-to-1 favorite when their lines was initially posted. The MGM Grand Garden Arena hosts next Friday’s shootout.